Pure Magic! Great Theatre! He’s quirky and fun and audiences at some of our recent music events have loved Jezs’ show.He’s been a wonderful addition to the entertainment we’ve put on at our ‘Raise The Roof’ Festival of Music and has added a totally new dimension to our show.His particular style of Magic is fresh, enthralling and engaging, along with his great sense of fun. 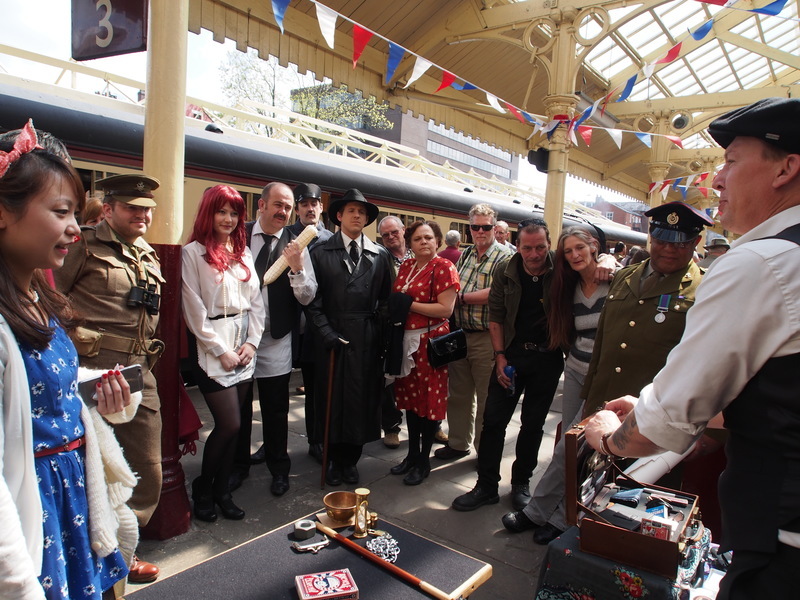 Jez would be a fantastic addition to any party.Jez will certainly be on our list of acts for future events at The East Lancashire Railway. 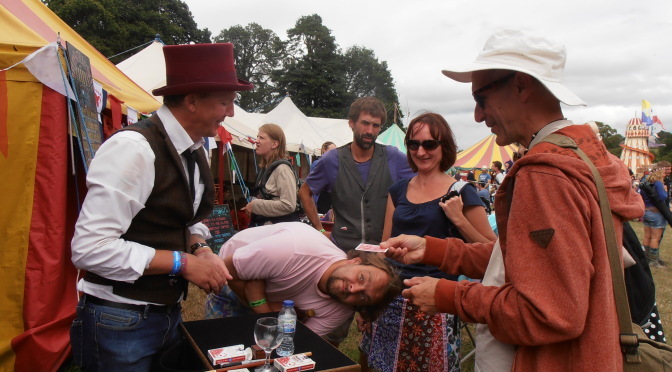 I’ve known Jez for many years and I don’t exactly remember when he turned from ‘Jez the great bloke’ into ‘Jez the Great Magician’ but he did just that. Somewhere he got his heart set on it and off he went. 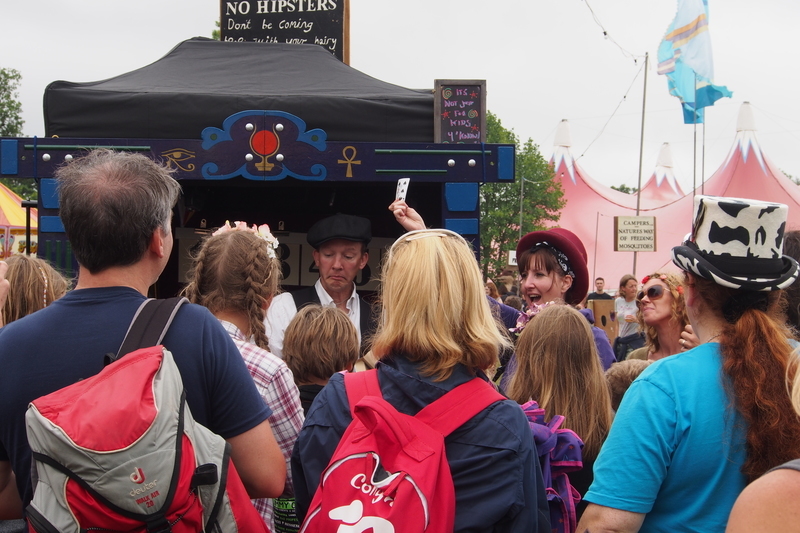 Jez has been our Magician at the Small World Festival for absolutely yonks now, he mostly works with us in and around the main marquee, but then I’ll go for a wander around site and over there will be a crowd of smiling faces gathered around Jez. There’s always a new trick, a new show, always something new he’s been working on. But always the same amazed faces. Well, that’s not strictly true, there are two types of amazed face; the utterly amazed faces of the children and the totally gob-smacked faces of the sceptical adults. 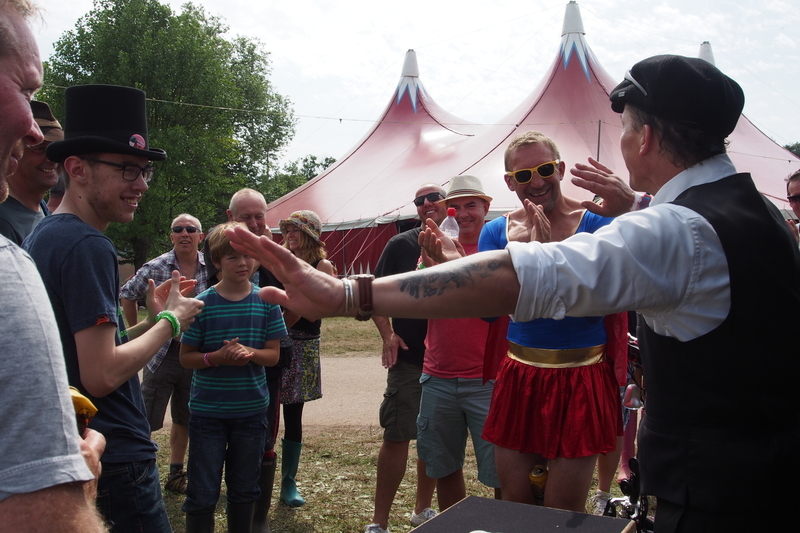 Jez’s repertoire is pretty wide: full stage magic shows, walkabout, comedy, close-up magic, visual illusions, performing on stage with bands, comparing the evening even. Being the consummate professional that he is he’s not only able to read an audience, he can also read the overall situation and know when and where to do what. 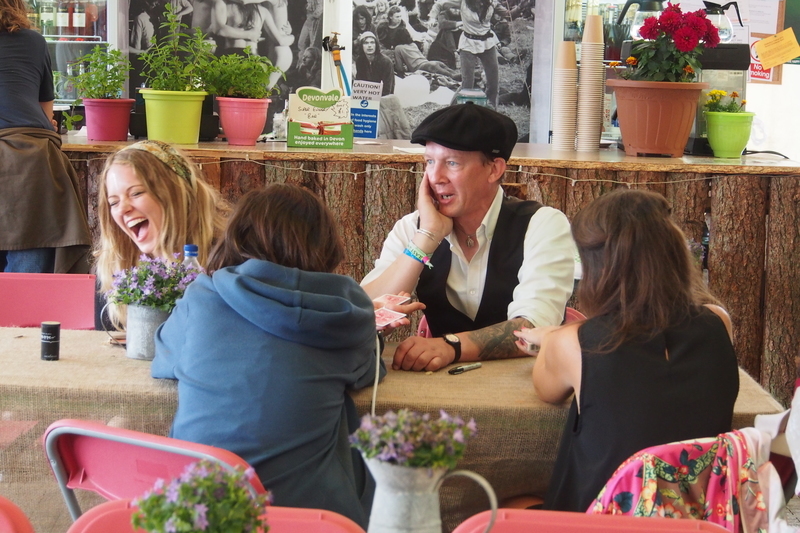 When I invited Jez and his wonderful assistant Emma to Glastonbury Festival to join our show there, they were like ducks to water, a major part of the show that weekend and an absolute pleasure to have them both camping back stage with us. Thank you for such a wonderful and impressive performance. The visual style of the performance made me feel there was a real connection with the characters and I thought it was so wonderfully performed. After attending Sign Circle, I would be very keen to book your company again. I look forward to doing so in the near future. I just wanted to write to thank you for coming to ‘Clogs on t’cobbles’ on Sunday and helping to make the event such a success – the feedback we’ve had has been very positive. You were certainly keeping people entertained and drawing a crowd.